Choosing a good Driving School in Eastbourne is a very important decision and you need to be safe in the knowledge that the driving instructor training you is qualified and trustworthy. 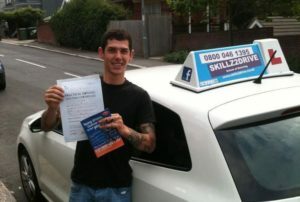 Skillz2Drive Driving School is run by Mark Wilkins, a well established and qualified driving instructor, offering the highest quality driving tuition at the most competitive prices in Eastbourne and surrounding areas. What makes Skillz2Drive Driving Instructors different? All our driving instructors are here to help you gain your license and be a confident driver. We are passionate about what we do; being able to drive gives you the kind of independence that you will never want to give up. Owning and driving your own car gives you the passport to your own freedom. All our driving lessons at Skillz2Drive are priced to provide you with the most competitive rates in the South East. So if you’re searching for affordable driving lessons in Eastbourne from certificated driving instructors, who are highly trained and happy to exceed expectations day in and day out, then you have come to the right place. Our fully qualified driving instructors offer a great teaching environment; our driving instructors are great teachers but it’s not just about teaching you to drive, it’s about providing an environment where you are confident and can do your best. We are professional and encouraging, always pushing our students to achieve their full potential. Looking for a driving school in Eastbourne ? Look no further than Skillz 2 Drive. We cover Eastbourne and the towns and villages around it. We can meet you at your workplace, college or home and you will learn to drive in Eastbourne.